You probably know all too well the pain and inconvenience that comes with ear-related problems. However, it is not just humans that can encounter issues with their ears. 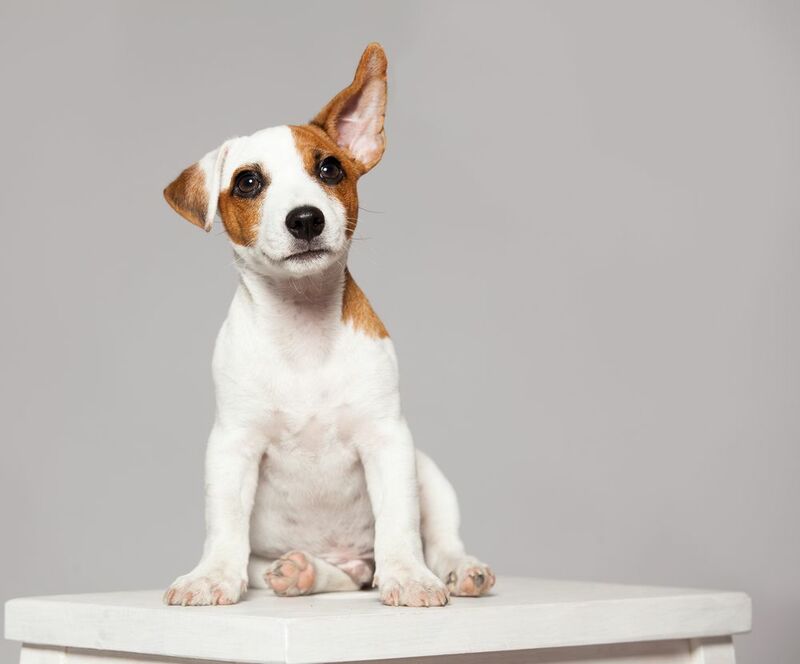 It may surprise you to know that dogs have quite unusual ear canals. Not only are they very long, usually between 5 and 10cm in length, but they also have a right-angled bend. This bend makes it very easy for foreign objects to enter the ear canal, but incredibly difficult to get them back out. Although all breeds of dog are susceptible to ear infections, those with long, floppy ears are more likely to develop aural problems than their shorter eared cousins. This is because it is much easier for moisture to become trapped in the ear canals of long-eared breeds, which creates the perfect conditions for yeast and bacteria to grow. Dogs that have skin allergies are also more likely to develop problems with their ears, and will benefit from additional care for them. Frequent bathing and swimming can increase the likelihood with which your dog develops ear irritations and infections. To help protect their pet, many owners choose to place cotton wool in their dog’s ears before they get wet! Some dogs may also seem like they are in pain with their ear, disliking you touching it or turning away from you if you try to pet that side of their head. The best way to care for your dog’s ears is to ensure that you regularly clean them. However, it is important not to clean them too often as this can cause them to become irritated and sore. The veterinarian of Bridge Park Animal Hospital is the best person to advise you on a schedule for cleaning your pet’s ears based on their individual needs. To clean your dog’s ears, you only need three things – cotton wool, ear cleaning solution and some treats to reward him for good behavior during the process! When choosing an ear cleaner, we strongly advise you to seek a recommendation from our veterinarian. There are many different varieties on the market, and your professional will be able to suggest the best one for your furry friend. Some websites suggest that you clean your dog’s ears with natural solutions such as vinegar or olive oil. However, these are completely unsuitable, and only a market-approved canine ear cleaning solution should be used. Once your dog is sat comfortably, hold the flap of his ear upright and fill the canal with cleaning fluid. Massage at the base of the ear, which should help direct the cleaning fluid around the ear canal. It will probably sound wet and squelchy, but this is a good indicator that you are doing it right! Do this for around 20 seconds and then release your dog’s ear. He should immediately start to shake his head. Once he is finished shaking, use cotton wool to gently wipe the outer folds of the ear so that any loose debris is cleaned away. Then reward your canine companion with a treat and some fuss, before repeating with the other ear. Ear mites are a common parasitic infestation that occur in dogs and cats. It is contagious and usually passed from animal to animal through contact, shared bedding etc. They are smaller than fleas, but not microscopic, meaning that you may be able to spot them when you clean out your pet’s ears - they look like tiny white dots. Ear mites can make your dog very uncomfortable and if you suspect that your canine friend has them, you should seek treatment as soon as possible. This is usually administered in the form of ear drops, provided by our veterinarian. It is possible to protect your dog ear mites and preventative treatment is highly recommended. There are a variety of different ‘spot-on’ products for this purpose and your vet will be able to recommend which is right for your pet. If you are concerned about the health of your dog’s ears, or would like further information on how to best care for them, contact our local veterinary office to arrange an appointment.